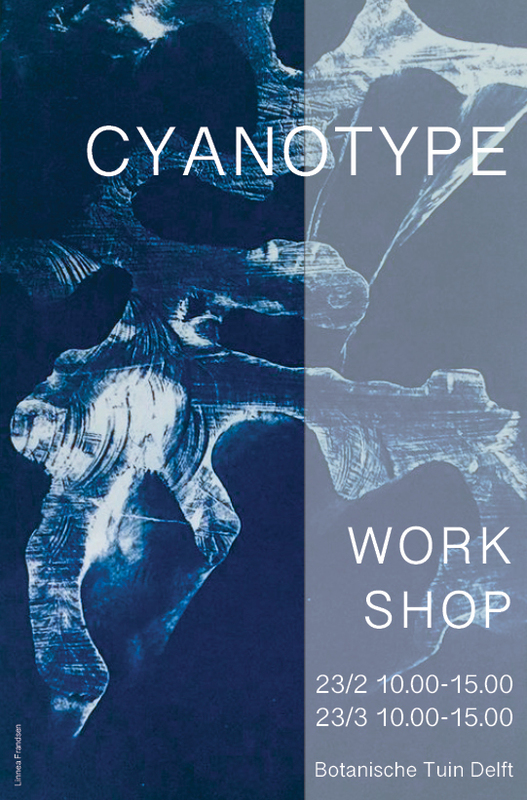 Join the cyanotype workshop on the 23th of February or 23th of March and make beautiful prints with an old photographic technique! We will make contact prints with leaves, flowers and seeds from the garden, bind our own notebook with a cyanotype cover and make a unique print of an image you decide. No prior knowledge needed. Price 75,- euros. 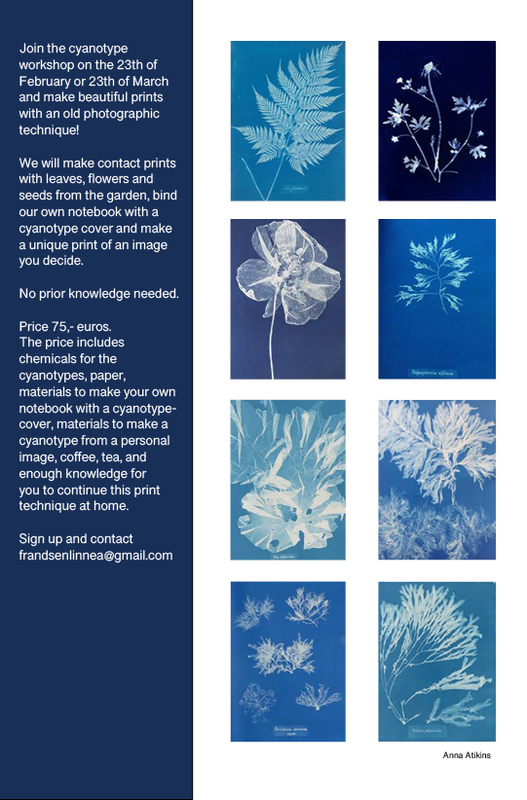 The price includes chemicals for the cyanotypes, paper, materials to make your own notebook with a cyanotype-cover, materials to make a cyanotype from a personal image, coffee, tea, and enough knowledge for you to continue this print technique at home.